Have you ever wondered how a goat would interpret '80s rock ballad "Simply the Best"? Of course you have. 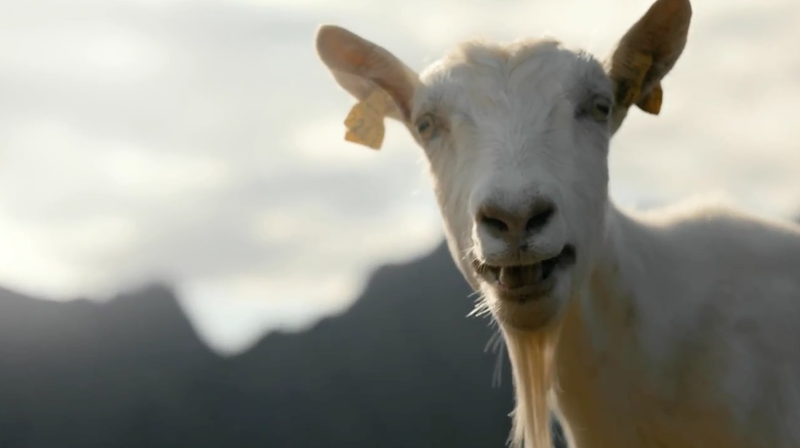 The cute beast in this Norwegian commercial for goat cheese sticks pretty close to the classic version by Tina Turner, though it does change the line "You're simply the best" to "I'm simply the best." That's a bold creative statement. For a goat. And decidedly on brand. Some silly billies at Try/Apt in Oslo devised the 30-second spot. That's one crazy kid, but way saner than Mountain Dew's Felicia, who, you may recall, got everybody's goat last year.